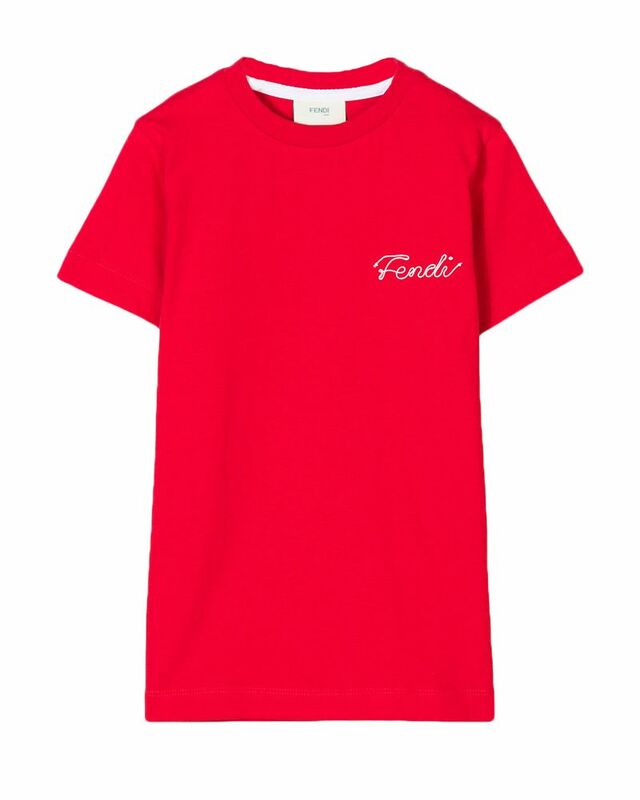 Fendi soft cotton red slim fit tee shirt with stitched white logo detailing. 100% Cotton. Made in Italy.